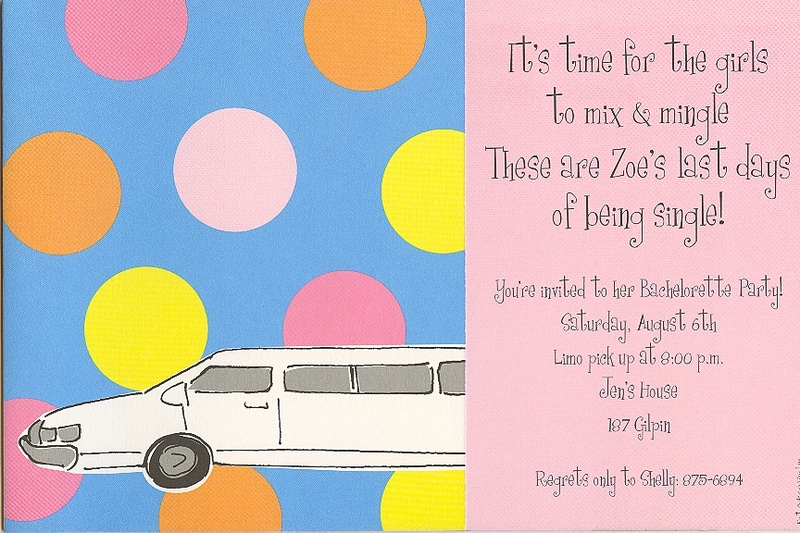 The front flap of this stunning invitation shows a white limo and an imprintable pink area. 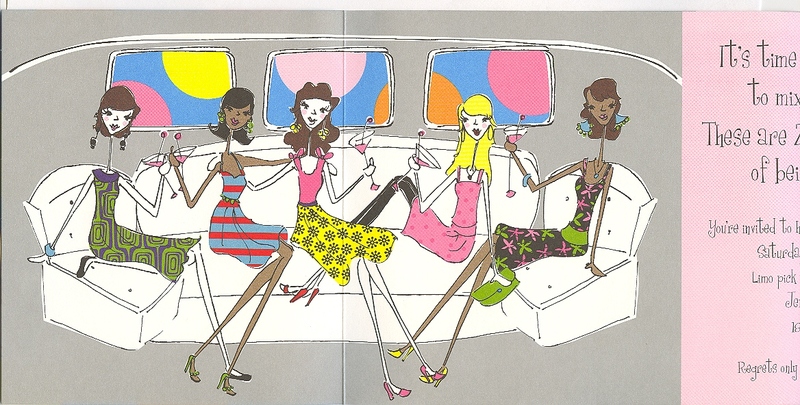 Open the flap and five female friends sipping on cocktails are sitting on the inside of the limo. Fun is awaiting! 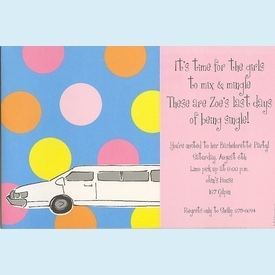 Perfect for a girls night out, bachelorette party, or 21st bithday party. Metallic silver envelopes provide a glimmery touch. CLOSEOUT...only 6 sets left!